PVC high speed mixer machine is a kind of mechanical equipment that using mechanical force and gravity to mix up two or more than two materials. In the process of mixing, the surface area of the material can be increased to promote chemical reaction, and the physical change can also be accelerated. SHR series mixer are mainly used for mixing, coloring, drying in plastic, rubber, food-stuff as well as daily chemical industry. 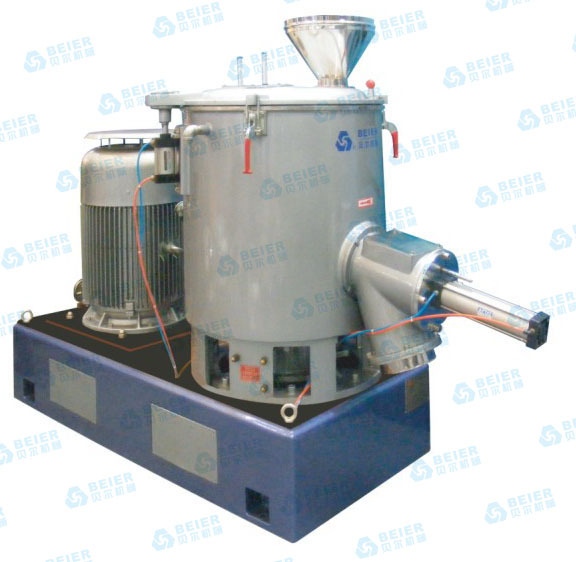 The high speed mixer is mainly made up of base, mixing container, transmission and heating part. PVC high speed mixer machine adopts advance design and can be operated easily, safely and reliably. It has the advantages of small size, light weight, high efficiency, low energy consumption and low noise. It is an ideal choice for you.